Ola Mestad was at IILJ from 2010-2011 as a Senior Global Research Fellow. He has been a professor Dr. Juris at the Scandinavian Institute of Maritime Law at the University of Oslo since 2000. He has longstanding experience as a lawyer in the law firm BA-HR, where his main focus was on the petroleum sector. He now works mainly with international trade and investment law, in addition to petroleum- and contract law and EEA law. Mestad was member of the Council on Ethics for the Government Pension Fund Global from 2004, and chaired the Council from 2010-2014. 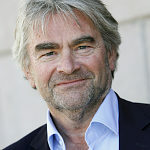 He is leading the research committee of the Norwegian Constitution Jubilee 1814-2014. Mestad is ad hoc jugde in the EFTA Court in Luxembourg and is used as an arbitrator in Norwegian and international arbitration.